The geographical milieu, in which I Cammini Lauretani winds, varies several times before reaching Loreto city. We have decided to underline the geographical diversities in terms of places and tracks you can find on the roads but always saving the value of the Ancient Via Lauretana, through a brand new project name: Cammini Lauretani (the roads to Loreto). Chienti and Potenza rivers flow through the Sibillini Mountains and several valleys before getting to Fabriano, Loreto and, finally, the Adriatic Sea. From the sea, the rivers start a new journey to Prague, Tersatto Paris and Walsingham. It is important to say that I Cammini Lauretani project is not related with the well-known Camino de Santiago. We wanted to stress the idea that a universal cult, which is spread all around Europe since ages, is correctly reflected in a beautiful, changeable, wide area. In fact, this name can be seen as the symbol of the search of God through all European roads that people used to walk to get to Loreto and the Holy Mary’s House. Since ages, the cult of Holy Mary’s House in Loreto has been one of the most important themes related to Mary’s devotion in Europe and all over the world. Today, there is a huge amount of places to pray, confraternities and religious circles, like the tracks by which pilgrims reach Loreto’s Sanctuary. Europe, Africa and Asia: Father Giuseppe Santarelli counted more than 4000 roads. The setting we are facing today is a mix of places, practices, tracks, memories, relationships which have grown up around Holy Virgin Mary of Loreto and the Sanctuary itself. 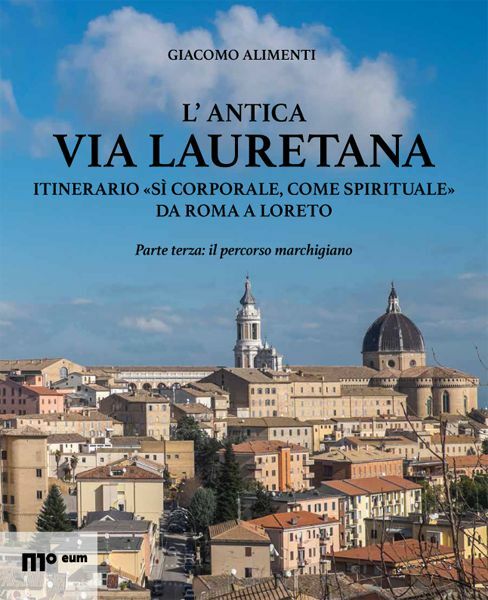 The Cammini Lauretani network- which means the Via Lauretana together with all other places of cult connected with Holy Virgin Mary of the Marches- the territory, the culture, the architectonic and artistic values are precious witnesses of the past. Moreover, the net is an important cultural resource from a sustainable development perspective. There are two aspects that characterize I Cammini Lauretani: the memory of spiritual values and Marian devotion. The environment is completely filled up with them. Starting from this project, the Evolved Cultural District I Cammini Lauretani works out and supports projects related to territorial development namely it supports, analyses and evaluates their impact on tourism, on technological applications, in industry and handmade sector and, nearby, promotes cultural and knowledge enterprises.